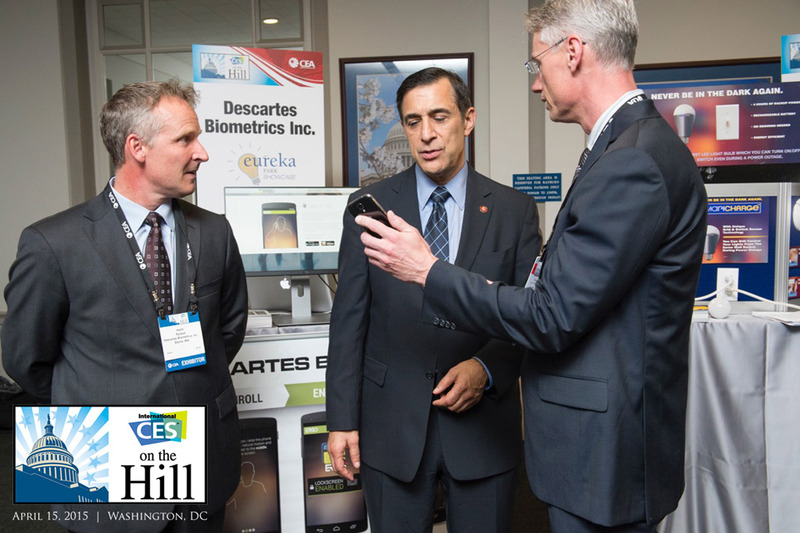 (above) Michael Boczek (right) shows Congressman Darrell Issa (center) the ERGO ear biometric technology at CES on the Hill 2014. Descartes Biometrics Inc. was invited to attend the International CES on the Hill event in Washington DC in 2014 to demonstrate their first ear biometric technology, ERGO, which locked and unlocked Android smartphones when a user pressed their ear to the screen. Michael Boczek, President and CEO of Descartes Biometrics, met with industry leaders and congressmen to talk about biometric security for mobile devices. The HELIX ear recognition software identifies people based on the unique features of a user’s ear. With HELIX, camera-equipped devices capture ear images, instantly process them and compare the processed data to a stored user profile. This year, they’re returning to CES on the Hill on April 15, 2015 to showcase their new flagship ear image recognition technology for the enterprise, HELIX. HELIX ear recognition software identifies and authenticates a person based on their unique ear shape. With a cross-platform library, HELIX can be integrated with most camera-equipped portable devices, such as body cameras, webcams and smartphones for security and surveillance applications. For law enforcement, this means individuals can be recorded using CCTV or body cams and identified from a database of stored profiles. A suspect could be identified in a crowd by their ear shape, or a driver’s record could be pulled up automatically as the officer’s body camera finds their ear, for example. Other applications include access management, where a person is allowed entrance to a building or across an international border based on a quick ear scan. 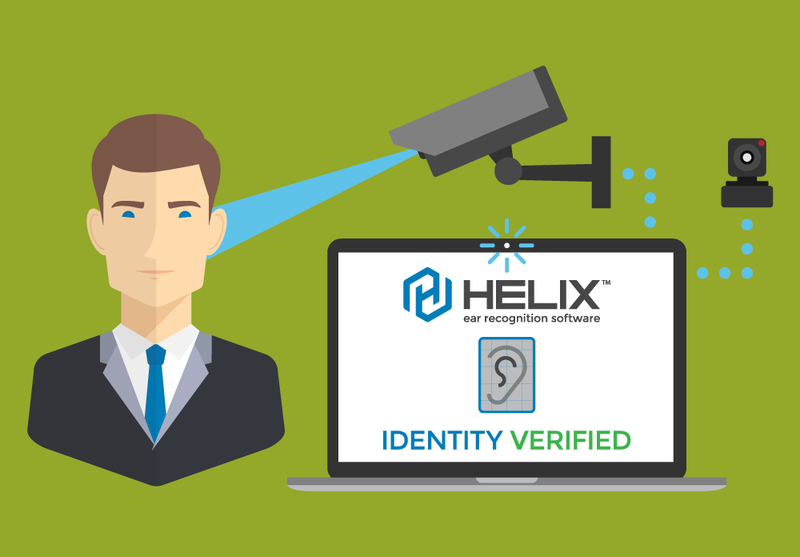 If that person was previously granted access, HELIX recognizes their profile and authenticates the user, allowing them to pass. Learn more about the HELIX software developer kit and view the HELIX white paper.